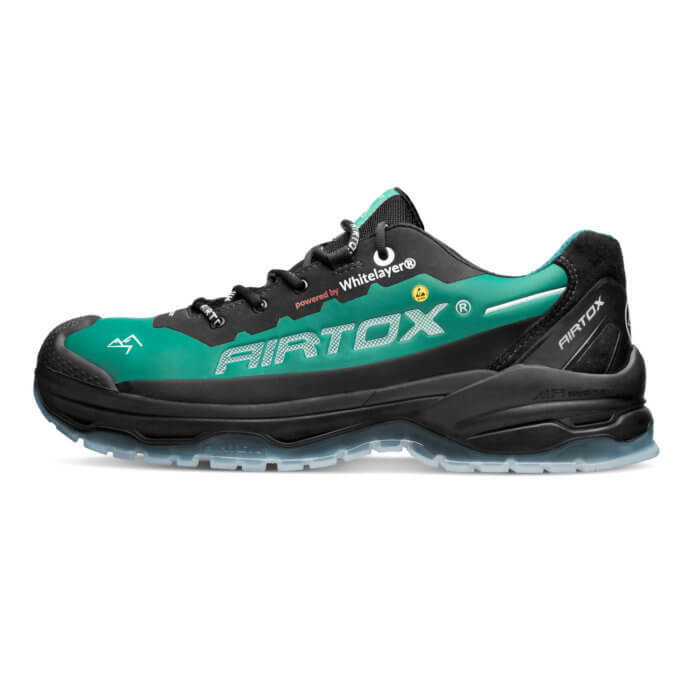 AIRTOX TX3 safety shoes belong to the latest series from trend-setting AIRTOX. 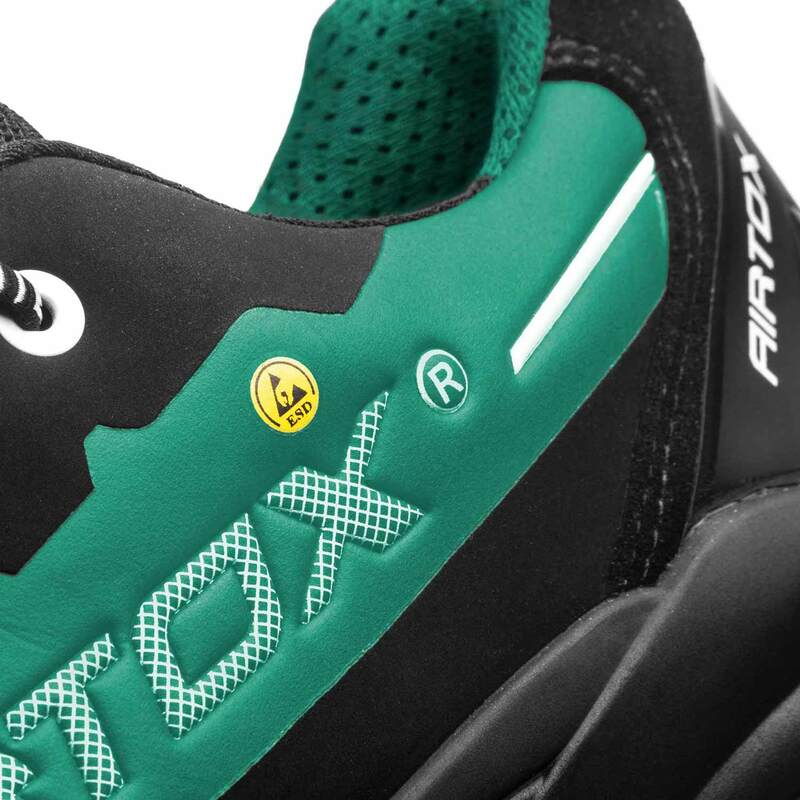 In addition of a number of super features, they include the recently developed “Trans-Am” AIR Sole, which makes them incredibly comfortable while ensuring full safety. Why are TX3 safety shoes so comfortable? 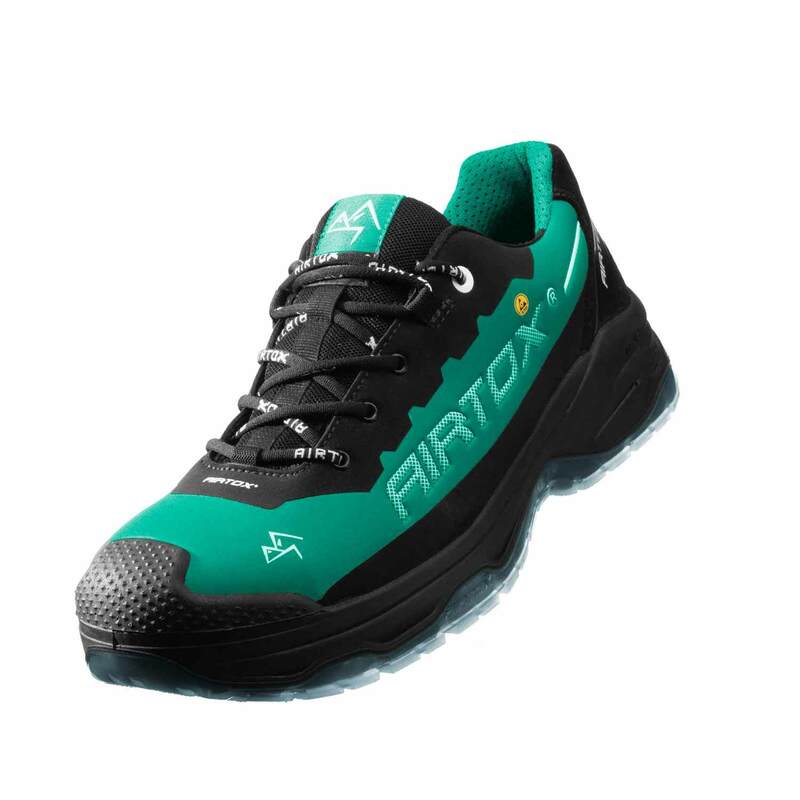 The newly developed “Trans-Am” AIR Sole guarantees full safety while permitting incredible level of comfort. The upper material is now made of an advanced microfiber material which makes the shoes amazingly comfortable as well. 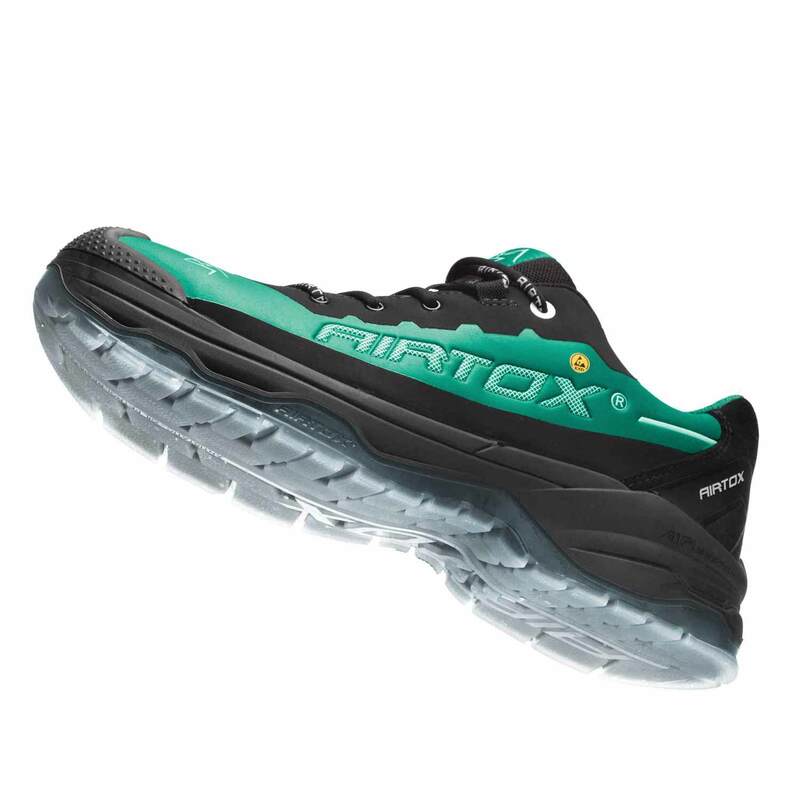 How are TX3 safety shoes going to protect my feet? 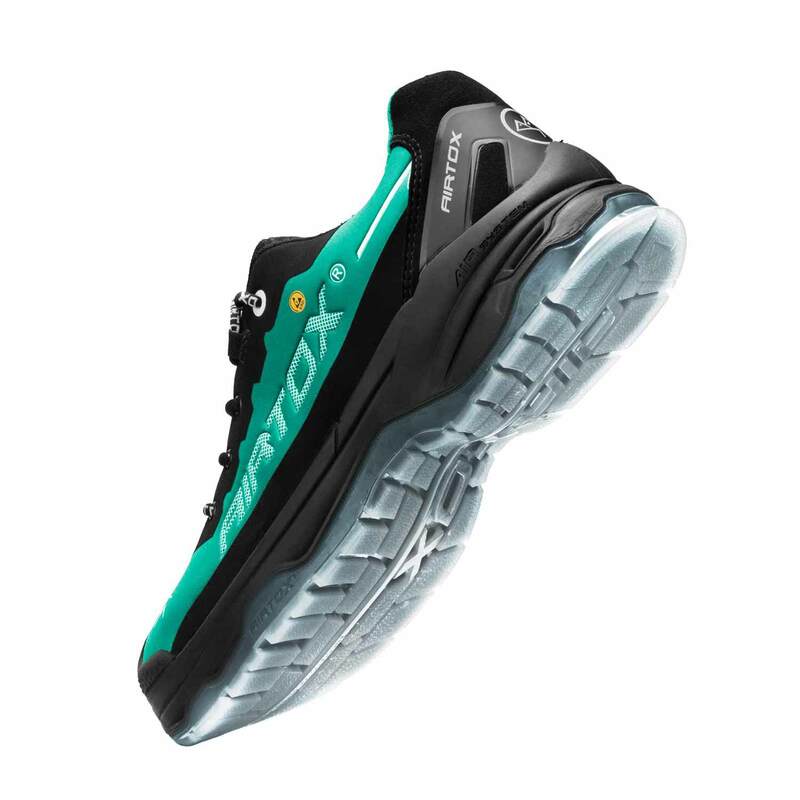 A thin layer of transparent TPU ensures a fuel, acid and heat (150oC) resistant outsole that doesn’t leave black marks on floor. To be sure that you gain the most from your TX3 safety shoes, never forget to wear the right pair of socks. Technical anti-moisture socks, typically made for hiking, running or snow sports are the best. Wearing normal socks made from cotton is a common mistake instead, as these types of materials retain additional moisture, leaving you with the feeling of damp and uncomfortable feet. Available in one color version: green and black (for a different color combination see TX1 or TX2, for UTURN® version have a look at TX22, for midcut boot version check TX66). Remember to check our safety shoes care guide to get a few tips on how to ensure your footwear lasts to the maximum!